Continuing a legacy of success in the construction industry, Hyde Park Properties Inc. is committed to excellence in low-rise living. Everything from site selection to materials used in the development process signify our exemplary standards in providing a quality living experience for our resident base. At the time of construction we were the first landlord in decades to introduce new multi-unit rental housing in a low-rise format. Our design and construction of this location have won us the coveted Federal of Rental Housing Provider's Low-Rise Development of the Year. More importantly, we have won the hearts and loyalty of a great resident base many of whom are the first residents to move in upon completion. Leaside is one of the most historic sites within Toronto, with a timeline that goes back to the early 19th century. Around 1820, John Lea of Lancashire, England and his wife Mary Lea settled down with their son William in this neighborhood, which was part of the then-called York Township. John was a successful farmer, who is reputed to have built the first brick house in the neighborhood. His wealth and influence spread far and wide, and soon the region came to be called Leaside after the Lea family. The family prospered further , and in the early 1850's William Lea built a distinctive octagonal house, which became quite a landmark in Leaside. With the coming of the railway, Development in Leaside was fast and furious. With such a rich heritage, Leaside still proudly retains its unique identity and strong sense of community. Hyde Park Properties offers close to a half century of experience with an unwavering commitment to quality and reliability. Our commitment to excellence in design and superior customer service sets us apart from our competitors. Our mission is to make a significant contribution to growth in Southern Ontario by continuing to provide outstanding construction and excellence in urban design. We don't just build, we create value. 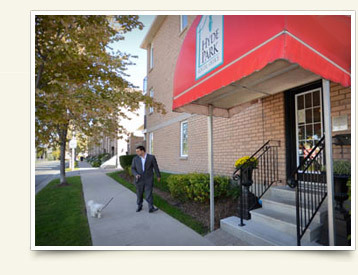 The Hyde Park difference can be summed up in three words: quality, flexibility and commitment. 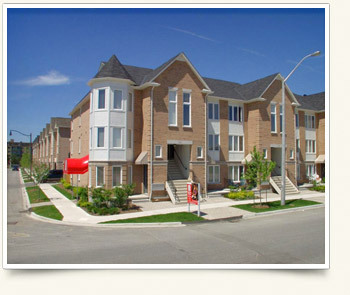 Having built over five million square feet of residential and commercial real estate in North York, Mississauga, Scarborough, East York, Markham and Vaughan, Hyde Park is one of the foremost names in construction in Southern Ontario.